$2,279.99 each List: $3,778.00, You Save: $1,498.01! 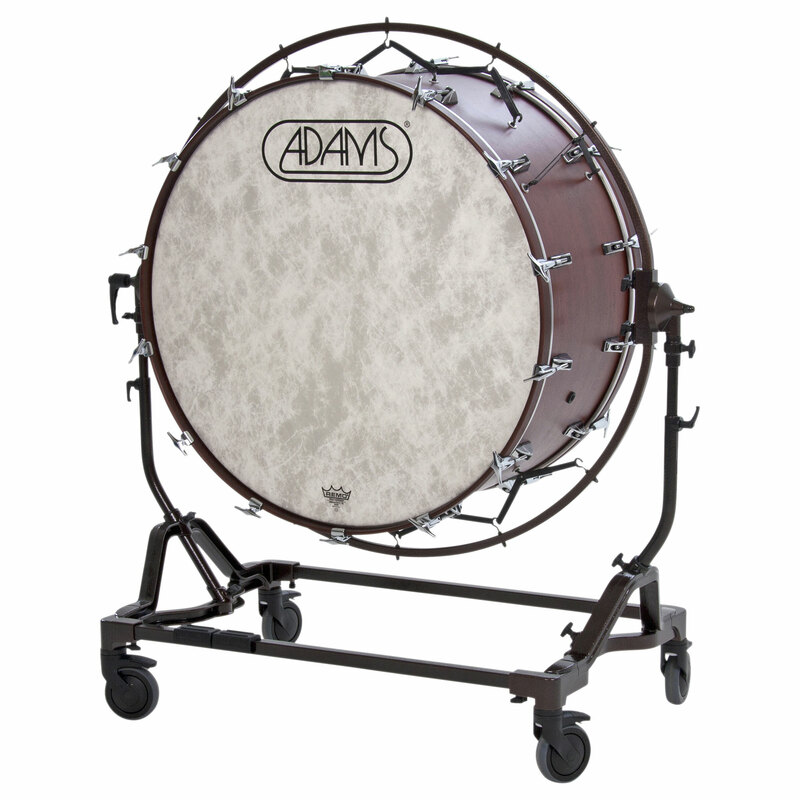 This Adams 36" x 22" Concert Bass Drum features a shell crafted from deeply-pitched mahogany that emphasizes low overtones, helping you produce those hall-shaking bass sounds with very little effort. The Remo Fiberskyn 3 heads included on this drum can be easily and quickly tuned thanks to tension rods complete with their own T-handles. This bass drum is suspended within the STBD Stand via rubber straps, giving it as much resonance as possible. The drum can be tilted and locked into whatever position you prefer, and the wheels can be locked to prevent the instrument from moving around as you play it.